Welcome to the month of May. May all your hard work pay off this month and may it be the best month of May ever for you. As you look forward to the remaining 30 days of this month, it’s certain that there are a lot of goals you’re looking to achieve. If among those goals, making more money is also on the list, then you’re reading the right blog post at the right time. The Catalan giants were confirmed La Liga champions this past weekend. Still unbeaten this season in the league, they face Real Madrid in their next La Liga game. Being champions, opposition teams are meant to give them a guard of honor. But Sergio Ramos has come out to say that they won’t be giving Barcelona a guard of honor this weekend. Both teams have only lost once in their last 5 games in all competition, with 3 wins each, 1 draw each. Which team do you think will win the El Clasico? The NBA post-season games have been as exciting as expected. While the Warriors made light work of San Antonio Spurs, the Indiana Pacers pushed Lebron James and the Cavs into Game 7 of their series. The post-season still has franchises like the Philadelphia 76ers, Houston Rockets, Toronto Raptors and Boston Celtics competing for a chance to feature in the Playoff final. 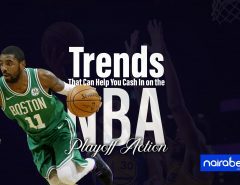 Click here to bet on all the NBA Playoff games and earn yourself some extra cash this month. Antonio Conte and Jose Mourinho will clash again this month as both Chelsea and Manchester United qualified for the FA Cup final set to be played on the 19th of May. There’s been a lot of bad blood between both managers over time. With a trophy at stake in this one, you can expect a lot of fireworks in this game. 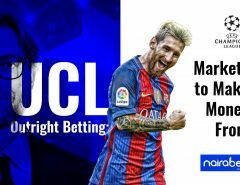 Manchester United to win this game has been priced @ 2.55 while Chelsea to win is @ 3.00. 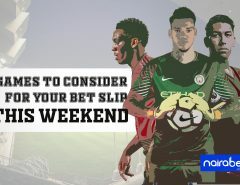 As of the time of writing this blog post, four teams still have a chance of featuring in the final of the UCL. But a week from now, only two teams will have made it through. And all roads will lead to Ukraine for the final of the UEFA Champions League. Which two teams do you think will qualify for the final? Click here to back your prediction and win big. Just like in the UCL, four teams (Arsenal, Atletico Madrid, Marseille and Salzburg) still have a chance of qualifying for the final. The final will be played this month too with Atletico Madrid and Marseille taking first leg advantages into the return legs. But which of these four teams will make it to the final? Which one will win it? 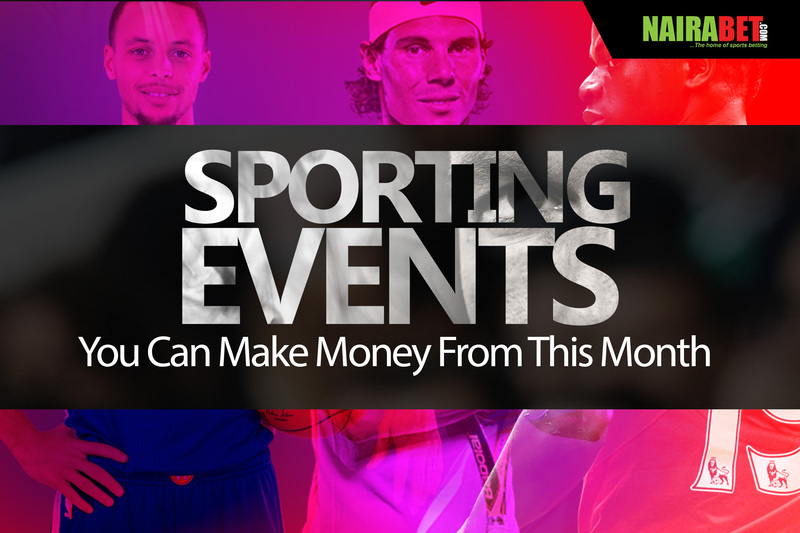 So, which of these events will you be putting your money on this month? Leave us a comment and share your thoughts with us.